On the road, you never know what’s going to happen. One moment you are crossing it with cheer, and then suddenly an accident can occur. This is unpredictable, that’s why driving safely is the best thing you can do. Furthermore, luckily, there are warning signals, signs, and traffic signals on roads which are beneficial for the safe driving. 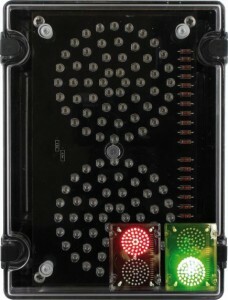 However, do you really know what these, especially the traffic signals are? Traffic signals are offering a maximum control to any road intersections. These relay messages of both what you must do and what not to do as a driver. The primary function of the traffic signals as we know is to assign the right of way to the contradicting movements of traffic in an intersection. This is actually done by allowing the conflicting traffic streams to share the same intersection by way of separating the time. Furthermore, the signals provide an orderly movement of the conflicting flows by means of assigning the right of way alternately to various movements of the traffic. However, it may interrupt extremely heavy flows to allow the crossing of some minor movements which otherwise, could not move safely into the intersection. When they are properly timed, traffic signals may increase the traffic handling capacity in an intersection. Additionally, when installed under a justified condition of its use, the signal is very valuable in improving the efficiency and safety of both the vehicular traffic and the pedestrian. Furthermore, particularly, traffic signals may also help in reducing various types of accidents. It interrupts the heavy traffic at intersections to allow other vehicles or pedestrians to cross it. It helps in providing a continuous movement of traffic at a certain speed in a given route or way. It helps in reducing the severity and frequency of various types of accidents or crashes, most especially the right-angle collision. It increases the traffic handling capacity of a certain intersection. It makes the movement of traffic in a certain intersection in order. – There is an increase in the use of less-adequate streets to avoid the traffic signals. – There are some drivers that disobey the signals. – There is an increase in traffic congestion, fuel consumption, and air pollution. – There is an excessive delay because of the time allocated in the traffic signals. Nowadays, traffic signals are almost everywhere. They are proven to be effective in areas where traffic flow is heavy, as well as off road use, such as Loading Bays, Site Entrances etc, where a Stop / Go signal is required. 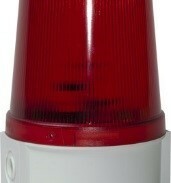 Further information on this type of product can be seen here; http://beaconlamps.com/products/traffic-management-signals/traffic-lights & http://beaconlamps.com/products/traffic-management-signals/led-status-signals.